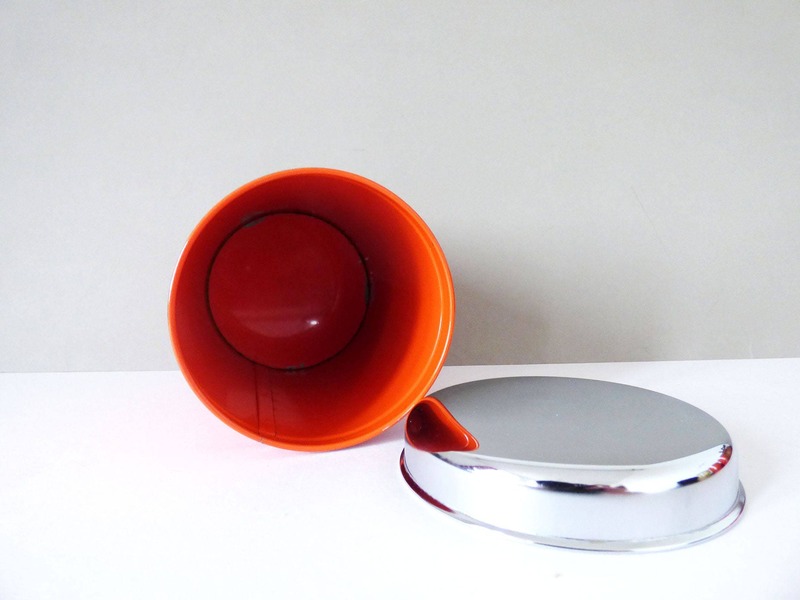 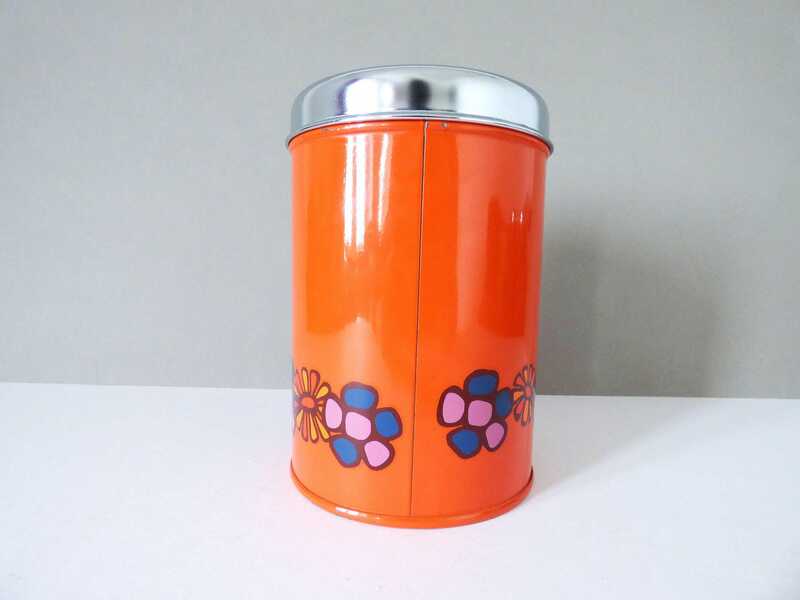 Stunning storage tin by Brabantia of Holland in the 1980's. 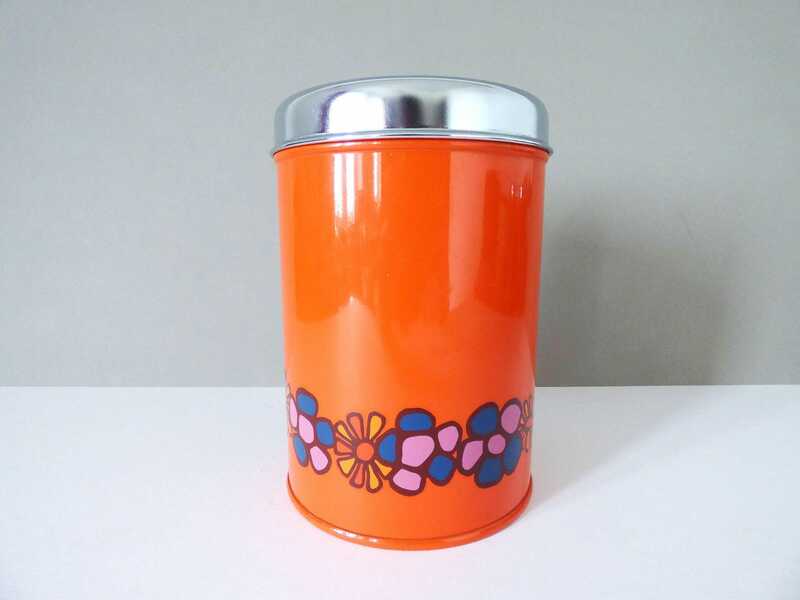 Produced in orange metal with a flowery pattern around the edge this is a much better quality tin than many produced at the time. 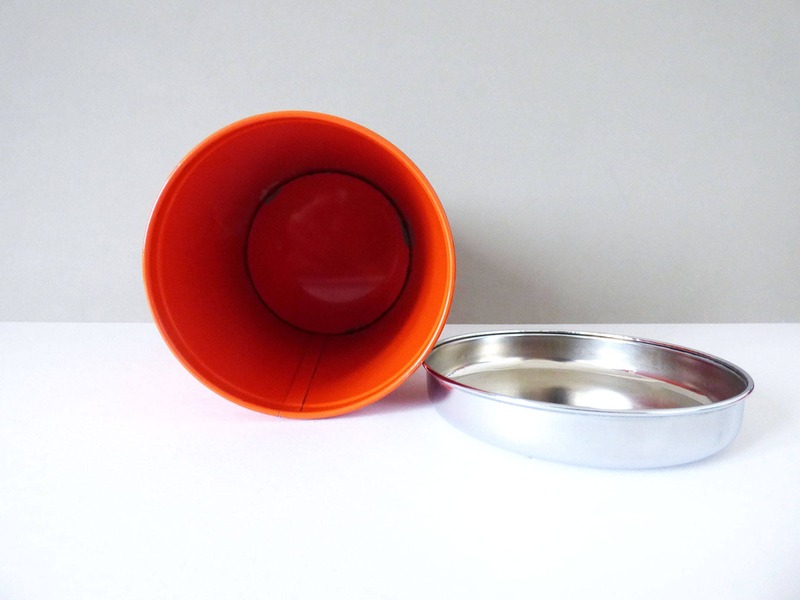 Condition is used but excellent. 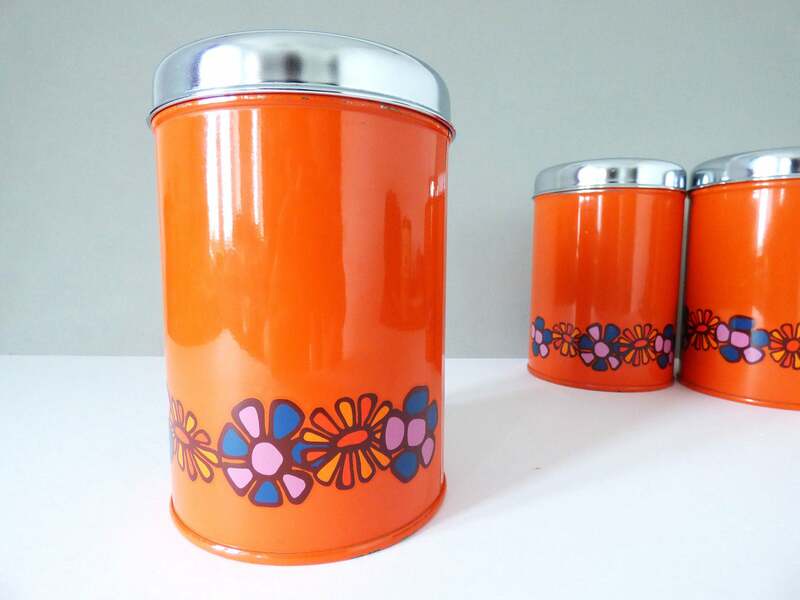 This listing is for one tin, but I have another 2 in stock, so please message me if you would like to buy more than one, and I'll change the listing and ammend the postage costs.